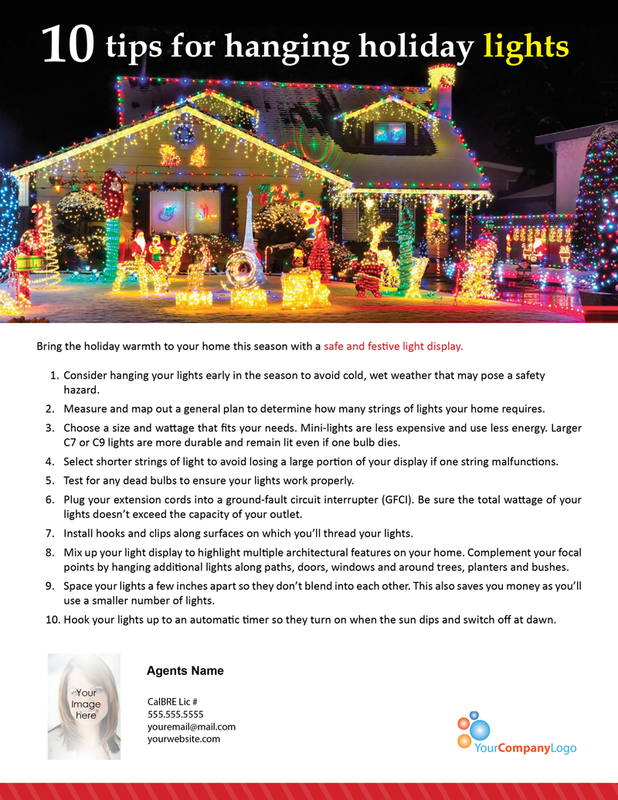 Bring the holiday warmth to your home this season with a safe and festive light display. Consider hanging your lights early in the season to avoid cold, wet weather that may pose a safety hazard. Select shorter strings of light to avoid losing a large portion of your display if one string malfunctions. 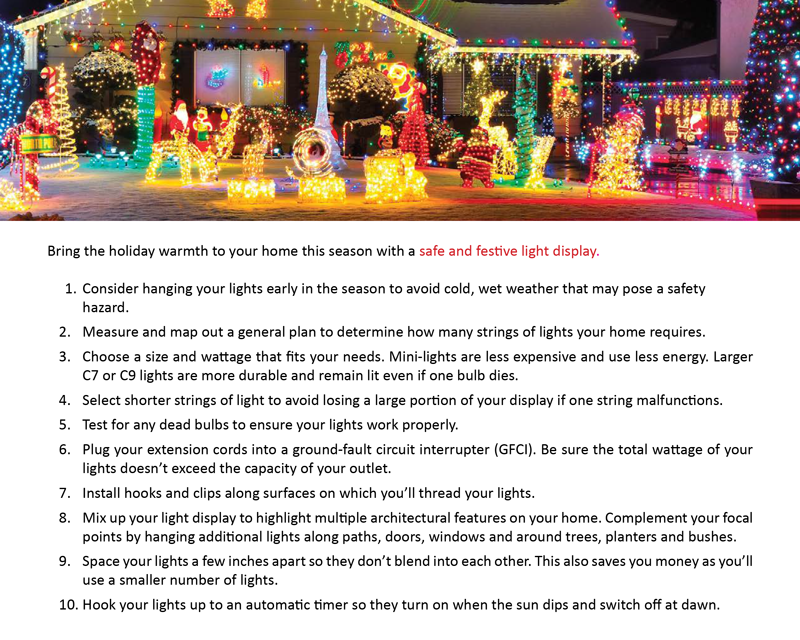 Mix up your light display to highlight multiple architectural features on your home. 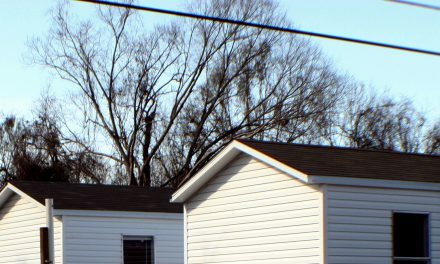 Complement your focal points by hanging additional lights along paths, doors, windows and around trees, planters and bushes.